Atrium is pleased to announce it is partnering with University of Massachusetts Boston to provide a new campus card solution. UMass Boston is a research university located in the City of Boston. Located on the Columbia Point peninsula, the University is surrounded by the Boston Harbor, the John F. Kennedy Library and the Massachusetts State Archives. 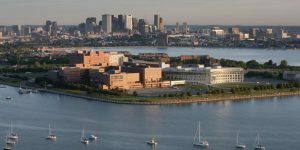 UMass Boston is known for its growing and diverse student body of more than 11,000 undergraduates and nearly 4,000 graduate students.